"I am excited to continue my partnership with Home Made Simple as they expand into offering consumers a line of naturally inspired, plant-based cleaning products"
CINCINNATI--(BUSINESS WIRE)--Home Made Simple™, a lifestyle brand with a mission of helping families to create homes they love to live in, made its debut 15 years ago as an online newsletter and then an Emmy-award winning series on the OWN Network, announced today the launch of its new plant-based product line. 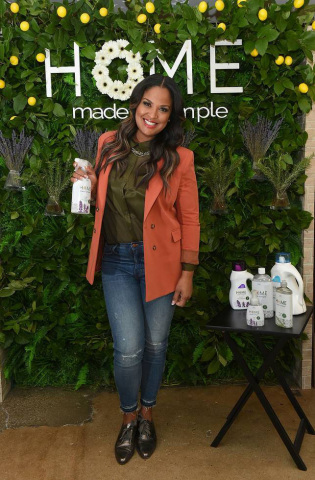 Designed with over 15 years of consumer research, the line includes a hand soap, dish soap, multi-purpose cleaner, laundry detergent, and fabric softener. 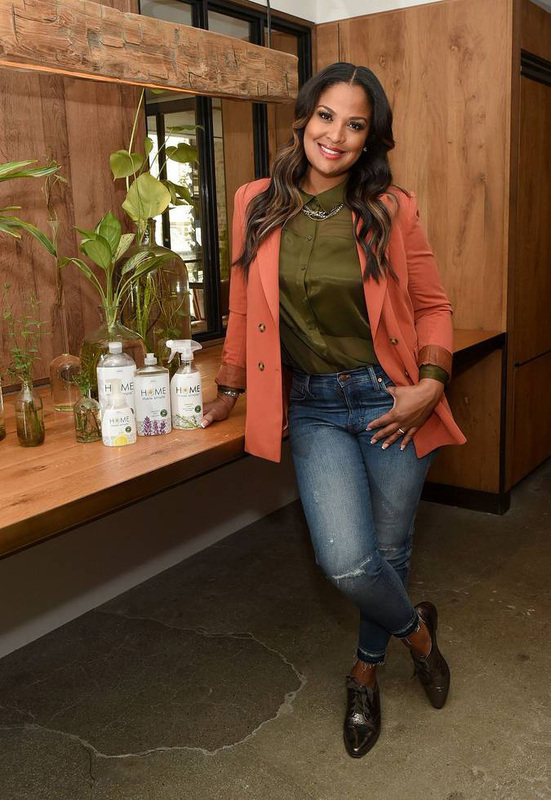 All the bottles are 100% recyclable and both the laundry detergent and fabric softener bottles are made from 25% or more post-consumer recycled plastic. 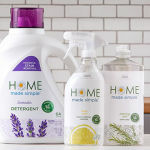 Blended with plant-based ingredients that are effective, the new Home Made Simple product line has everything you need to get the job done and nothing that you don’t. The laundry detergent has been formulated to fights stains, even in cold water, yet is gentle on skin. Free of gluten, parabens, phthalates, phosphates and dyes, the collection gently cleans for homes and is available in three refreshing scents: Rosemary, Lavender and Lemon. Delivers superior shine and is tough on dirt and grime. No residue also means no chemicals left behind for families. For more information about the Home Made Simple collection, visit www.homemadesimple.com, “like” Home Made Simple on Facebook or follow @HomeMadeSimple on Twitter and Instagram. Home Made Simple got its start 15 years ago with the mission of helping families create homes they love to live in. Home Made Simple was first invited into the homes of consumers through an email newsletter filled with DIY tips and recipes and then through TV with the series, Home Made Simple on OWN. Home Made Simple further expanded in 2019 and crafted a line of naturally inspired cleaning products, blended with plant-based ingredients that get the job done. More information can be found by visiting www.homemadesimple.com.